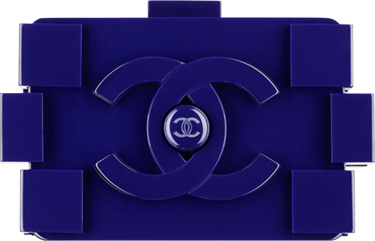 The Chanel Lego Clutch Bag – a child’s play and now for grown-ups. It shocked the fashion industry when it retailed for £5370 GBP on the shelves. And on the top of that, it’s not made from leather at all. It’s boxy and hard, crafted from plexiglass, but done with style and impeccable craftsmanship. When it was first-released, surprisingly it got sold-out in almost every store. And then celebrities were carrying them including Rita Ora, Rihanna and Kim Kardashian. Now for as far as we can remember, only single colors have been revealed, and few transparent Lego Clutch Bags. All with the beautiful CC logo crafted on the front, twice! But if you want to the best of the best, the crème de la crème, choose the Chanel Coco Lego Clutch Bag, which is made in black and white stripes, the exact two combinations of colors that Coco Chanel loves. Coco Chanel: ‘Women think of all colors except the absence of color. I have said that black has it all. White too. And to make everything perfect, the name Coco Chanel has been engraved on the bottom, presented with two CC logos on the front. It’s a gorgeous thing, a work of art, carry it in the most important evenings and it will certainly attract eyes and attentions.